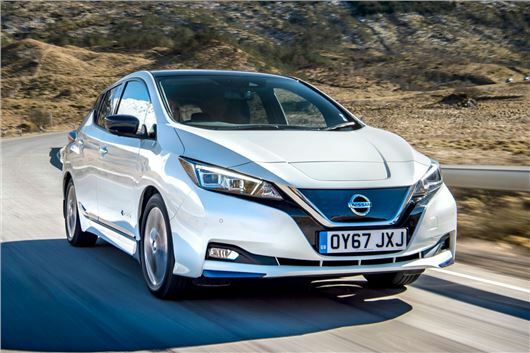 The Advertising Standards Authority (ASA) has given Nissan a ticking off over its advert for the all-electric Leaf, which the carmaker claimed could be charged up to 80 per cent in as 'as little as 40 minutes'. Three people complained about the electric car advert, which was displayed on Nissan's website, saying that the Leaf sometimes took longer than 60 minutes to charge and could only take one fast charge per day. Nissan responded to the allegations, saying that drivers could charge their Leaf as much as 80 per cent in the time stated on the website. They said it didn't claim that the Leaf would be charged to 80 per cent in 60 minutes, and there was a clear footnote explaining that timings would be dependent on various factors. It added that, in response to feedback from customers, it had updated the wording to say: "Plug your New LEAF into a CHAdeMO rapid charger and get from 20 to 80 per cent charge in around 60 minutes." The manufacturer also added that the Leaf is capable of receiving more than one rapid charge per day but the time taken to do so would increase to prevent the battery being damaged. While the ASA said it accepted that charge times are dependent on a number of factors, it concluded that even the amended advert was likely to mislead buyers because it did not clearly convey the degree of variability in the time required to deliver a certain amount of charge. As such, the complaint was upheld, with the ASA ordering that the wording should be removed from Nissan's website.